Our next stop, would be to see the largest book in the world. Largest book in the world? How exciting can this be, really. 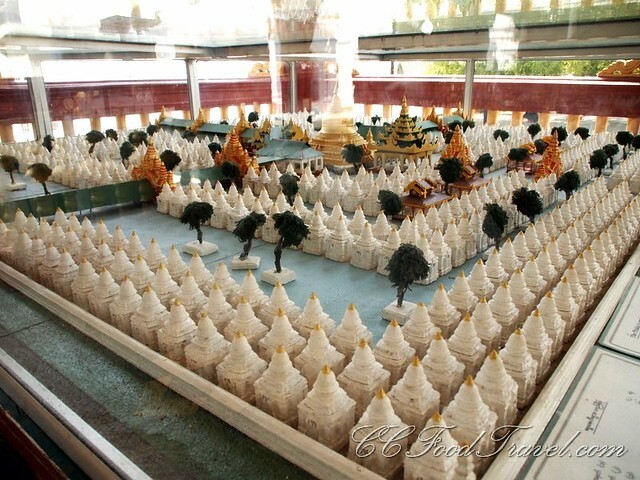 So we dashed through the busy Mandalay streets, three persons on a scooter, towards Kuthodaw Pagoda where 729 marble stones engraved with ancient Theravada Buddhist doctrines were housed, in white mini stupa shaped structures. Completed after 8years of work in 1868 with 1 more marble tablet added to explain the project, there were now 730 stone tablets for generations to read. 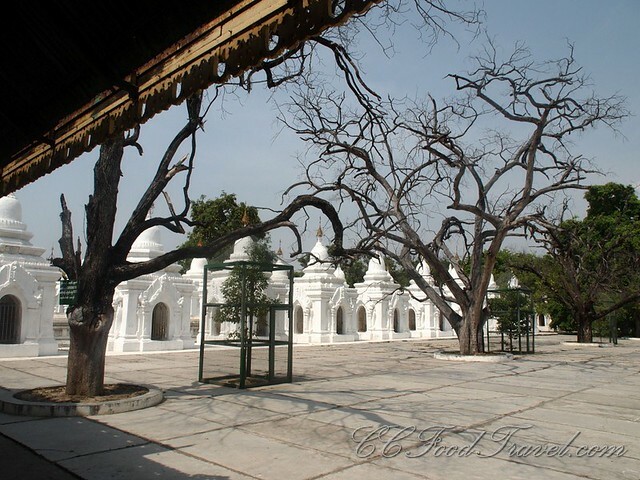 We only viewed a fraction of the massive grounds and a few antique marble stones to conclude that the magnitude of work and commitment to realise this dream by King Mindon and his team of artisans would be indeed inspiring to any person who saw it. After we explored the grounds it was time to do some jewelry shopping! Our next stop was the jade market. 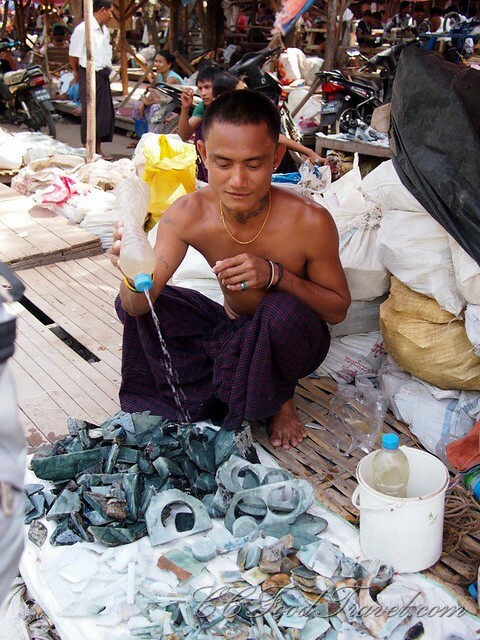 This visit to the jade market is a must as you will get an insight into how rough stones are transformed into objects of beauty. Makes you cringe doesn’t it? They say an experienced jeweler would be able to bring out the value and cut from a stone that looks like any other stone to a layman. Here, the lower value stones open for trade. These are the cuts discarded by the original owners after the best parts have been taken. Still, there is some value for shoppers who see what we can’t see. 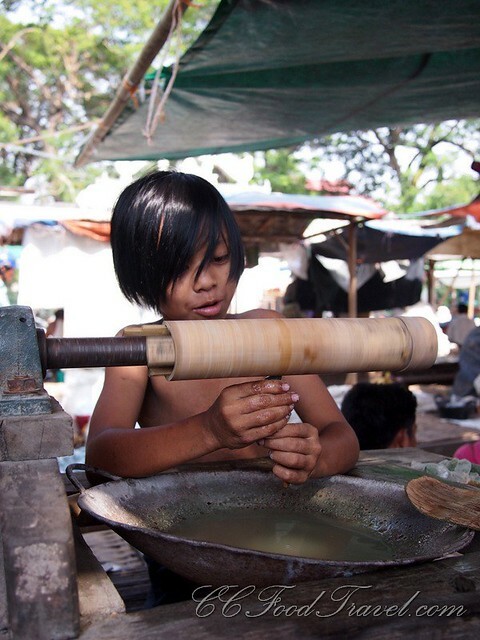 Child labour is not necessarily bad when you consider they have to either fend for themselves anyway, or help support their family. 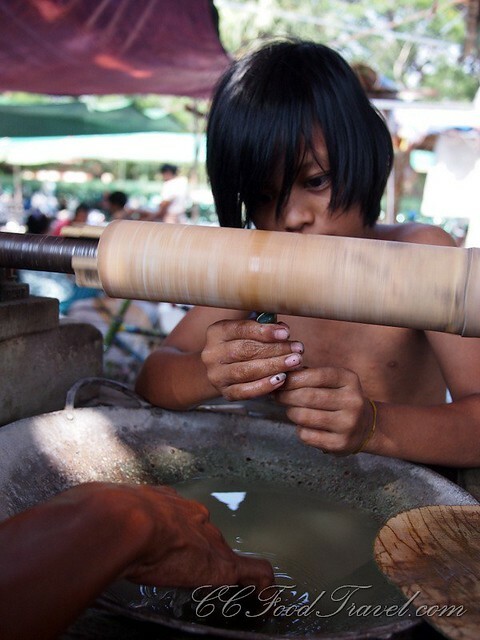 The sight of these poor kids working with their bare hands, without masks on grinders and polishers may put some people off. 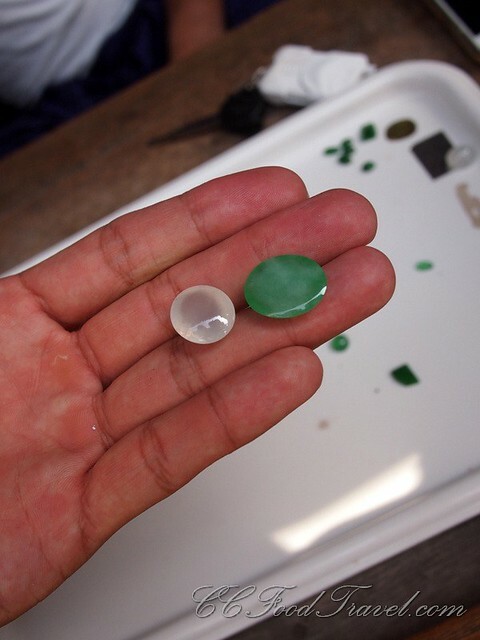 A special natural glue attaches the unpolished jade to the bamboo stick. 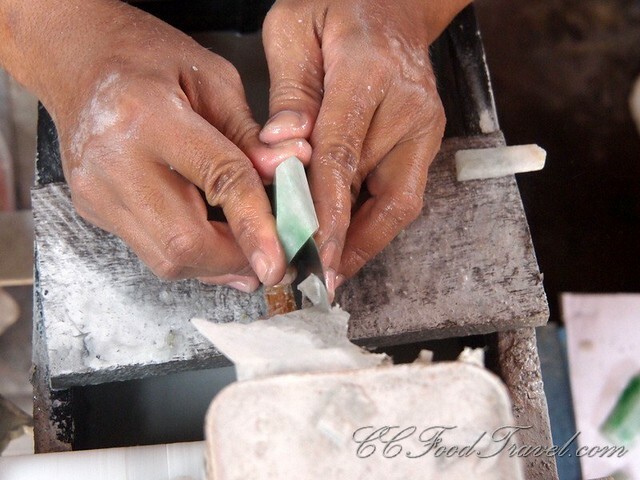 The stick becomes a handle to hold the jade to the spinning polisher . So distracted and preoccupied were we, with our surroundings, we did not realize that it was already almost sunset and time to see about a bridge.. and some monks. U Bein bridge is yet another big tourist attraction. 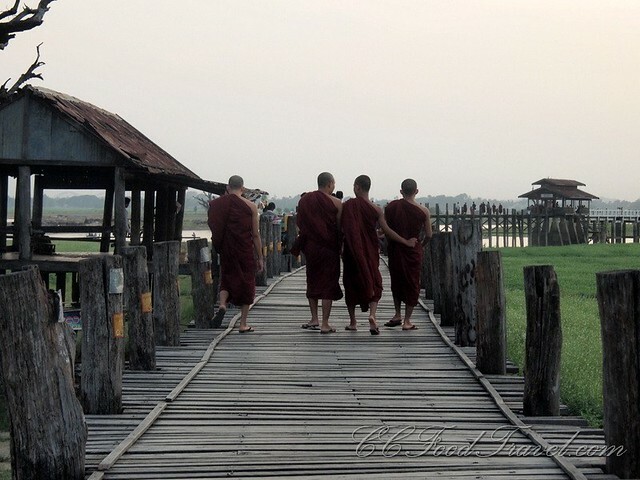 It is the stuff that many travel literature and magazines write about.. where images of monks and villagers walking across the 1.2km antique teak bridge that straddles the low level lake Taungthaman are captured during the early morning or at sunset. The rudimentary bridge without ornate carvings or unique engineering, holds the title of longest teak wood bridge in the world, connecting the village Taungthaman with Mahagandhayon Monastery. please sir, will you take our picture? Walking through the village, I bumped into a celebration of sorts. A fun tug of war ensued between the sexes. A father actually insisted I take a photo of his naked kids covered with soot all over their bodies. There he is, with his naked children. There you go.. forever embedded in netizen’s eyes and mind! Earlier we highlighted a work of art, but a talented local artist. This one is simply crafted and rather shoddily too, by probably the worst artisan in Mandalay! It’s cute though, and rather funny, isn’t it? With some time on our hands, we decided to look for Mandalay Beer but in Mandalay, there are actually only a few places which offer Mandalay Beer. Instead, we found Mandalay Rum. 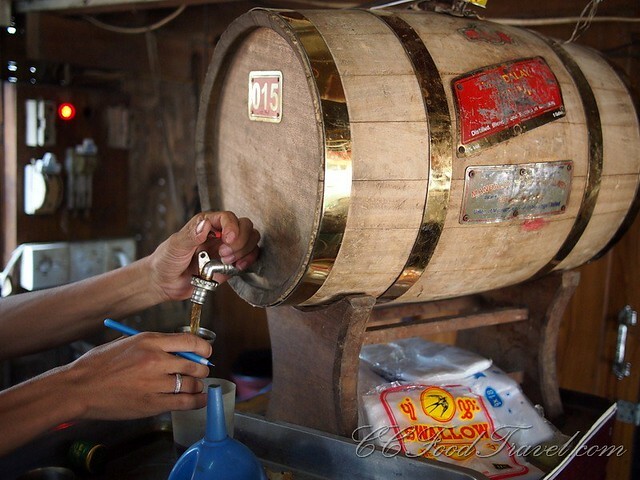 Lacking the refined taste of Bacardi, Captain Morgans or even Jamaica Rum, Mandalay Rum is a coarsely distilled liquor served neat with ice that simply burned our tongues, throats and probably intestines too. 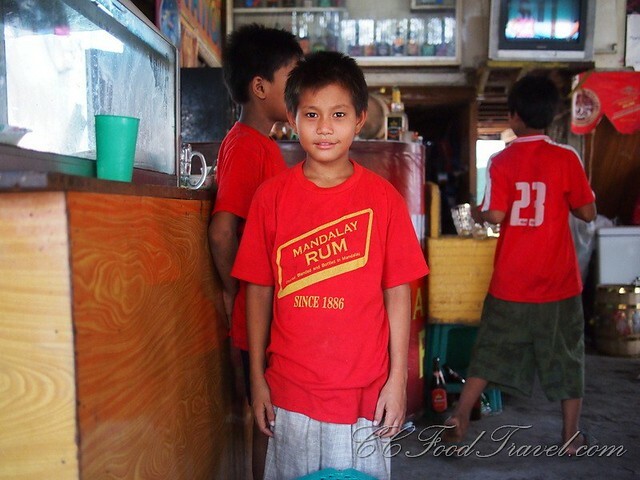 Children selling liquor which might infuriate anti child labour supporters. At the rum joint, another trishaw driver (also with a strong betelnut fetish) who spoke English approached us offering to show us around. Intoxicated by several glasses of Mandalay Rum and Myanmar Beer, we thought we would sober up by going for a ride on his wheels. Our new found friend whose name we’ve forgotten, peddled us drunks around Mandalay Fort, a large square measuring approximately 2 by 2 km, in the heart of the city. In this fort you would find the rebuilt Mandalay Palace, the former home of King Mindon, the last royalty of Myanmar in mid 19th Century. You would also find the Royal Mint and Royal Mausoleum. Not wanting to pay the entrance fees, we carried on to another attraction. We skipped taking a look at caged wildlife at the Mandalay Zoo and decided to visit our driver’s rented home in the less expensive part of town instead. He was adamant we meet his family and we didn’t want to let him down. his one and only son.. or prince rather! Eventually, our nearly sobered up selves needed some food. We landed up at a shady shop for some Shan Noodles. 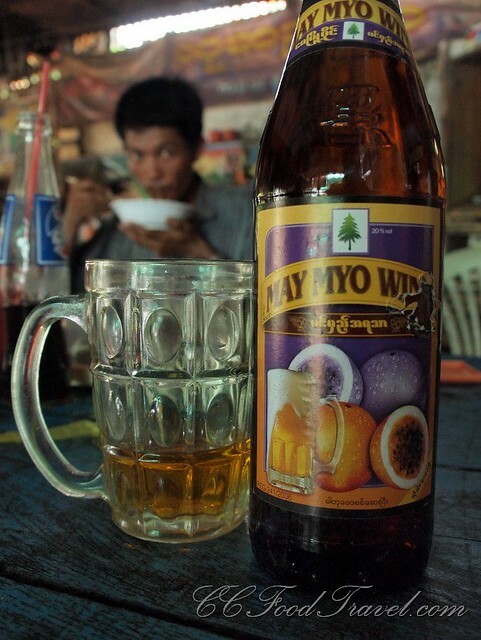 As luck would have it, Cumi spotted some passionfruit liquor and so the drinking continued! Just like the Mandalay Rum, it was pretty foul tasting. It wasn’t sweet and you couldn’t taste any passionfruit but it definitely had an alcoholic punch. 2. 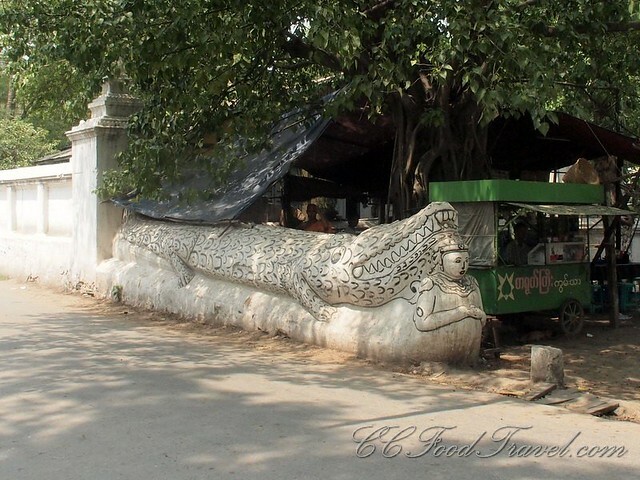 Beware of the Bagan Tiger in Myanmar! If you like what you just read, please like our FB page, Cheers! 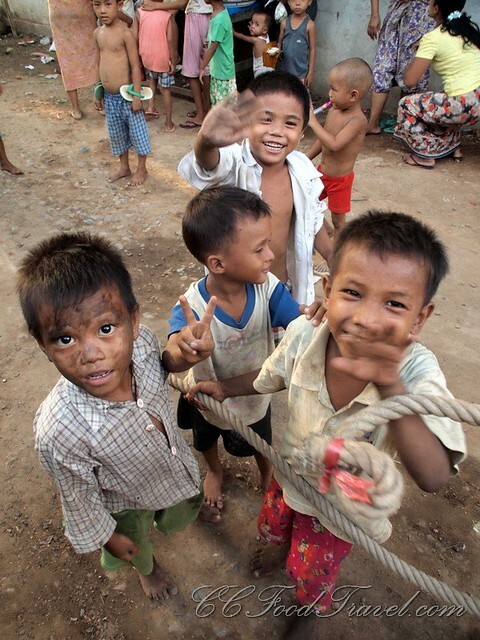 OK, I think I may need to steal….err, I mean adopt…a little Burmese boy. They’re all so cute! Although no soot in my home. As for the child labour? Well, I won’t judge as I don’t know too much about the subject in general, so I’ll leave it for others to comment on that. That’s pretty cool about the biggest book in the world, although I was expecting a massive traditional-style book with monstrous pages and some kind of machine needed to turn it. Hi Tom! Yeah, we were expecting a monster book too! luckily it wasn’t and we didn’t have to turn it ourselves! The kids are cute.. so many work in hard conditions.. it’s kinda sad. Makes you thankful for your own life, really. I agree Sean, and things are getting better I think. Give it 5 years or so? this is my 3rd Myanmar read today..very tempted to pack my bags and go off to explore. I just love this post, everything and the photos, OMG, i love them. I particularly love the monks walking on the teak bridge, 1.2 kms of that, I wanna just sit there and take lots of photos of the bridge. What I perhaps will lament about this is the child labor issues. 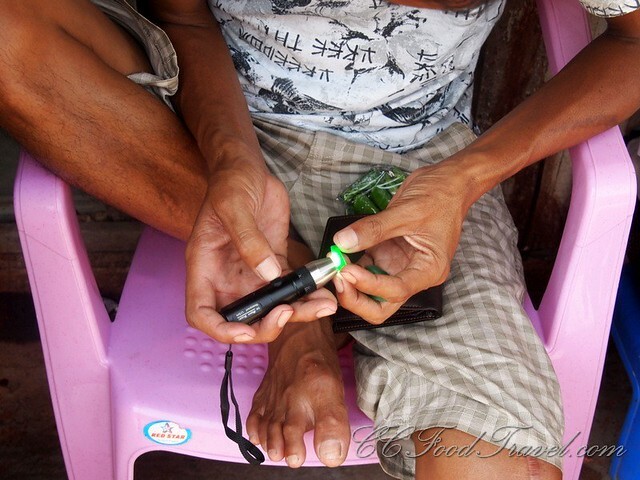 Even in the Philippines, we have those issues but not as worse as this one, where kids are asked to polish jades (very dangerous trade) and selling beers (the most dangerous trade). But as you have aptly shared, they have to fend for themselves and no matter what, this is the reality we so live each day as a Third World country. Sad reality it is but we surely is coping by each day. 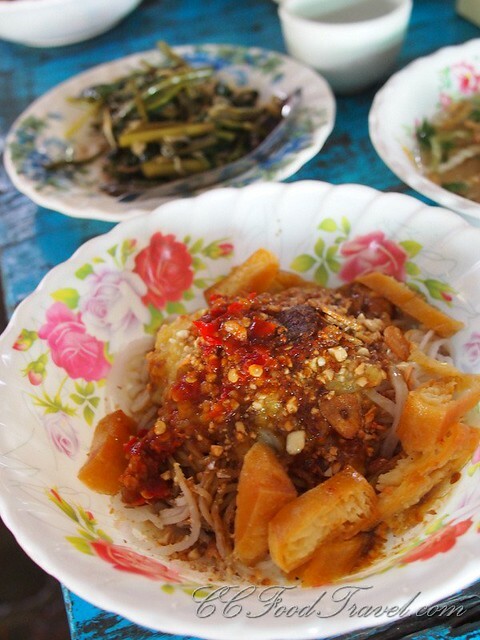 I have not been able to visit Myanmar but I would love to go to Mandalay and immerse myself in the local customs and traditions. take lots of photos and remained enthralled for eternity. Awww. I agree! 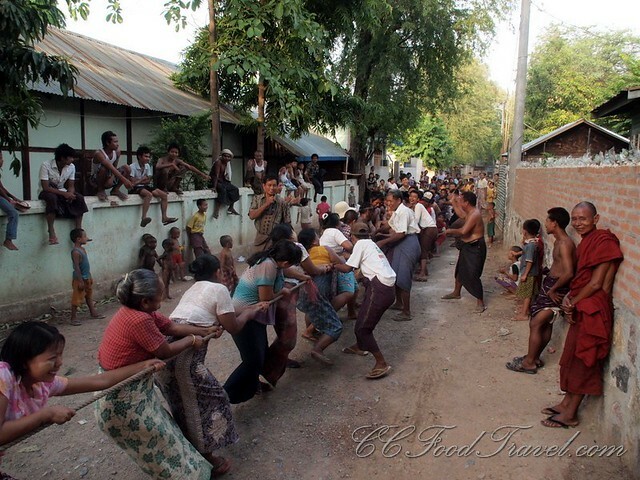 Mandalay, bagan, Yangon – they certainly have their charm! 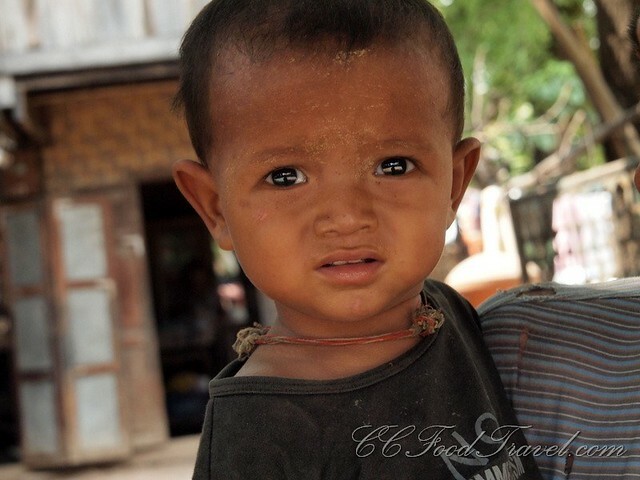 Thanks for your heartfelt comment – why have you not been able to visit Myanmar though? Just curious..